All Aboard Westcliffe (AAW) preserves and displays the unique railroad history and artifacts of the Westcliffe Branch of the Denver & Rio Grande Railroad which operated in the Wet Mountain Valley from 1901 to 1939. 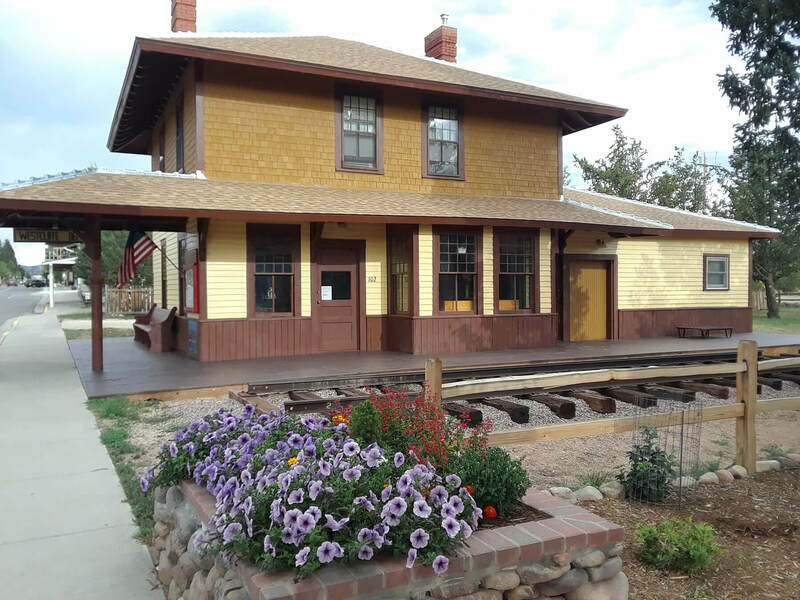 AAW was able to purchase and restore the 1901 Depot on Main Street which has been placed on the Colorado Registry of Historic Places. The Depot restoration was completed this year, thanks to donations and countless hours of our many dedicated volunteers. Donations to AAW go directly to refurbishing and maintaining our building, railroad rolling stock, equipment, tools and artifacts. As funds are raised and items donated, we continue our restoration projects with the goals of adding a water tower for the Depot grounds, a locomotive and a turntable. The Depot is located on Main Street, with the Heritage Center and Engine Museum located south of the Depot on Rosita Avenue.